Blowing The Lid Off "The World's Cruelest Zoo"
My friend, the photographer Andrew Chant, lifted the lid of his laptop. "'You have to see this," he said, twisting it around so I could see the screen. I jerked back in my seat at the imploring eyes staring back at me; the eyes of a monkey, or something in that species. 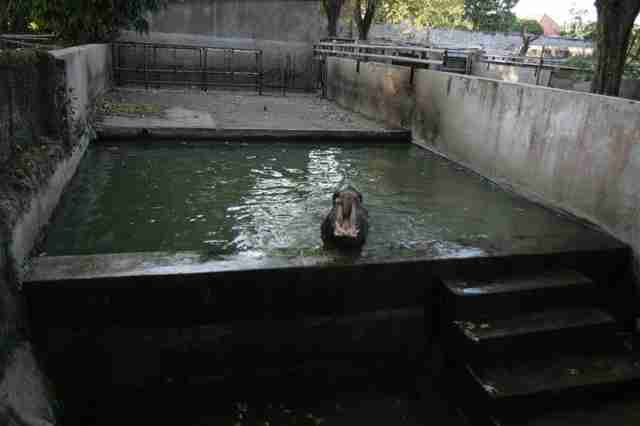 "I took these pictures at a zoo in Surabaya," he said, scrolling down the page -- a page of horrors. "Please!" I cried. "No more. I hate animal cruelty pictures," -- because there was no doubt that was that these were. I had flown to Andrew's "patch" in Bangkok from Sydney on an assignment for London's Daily Mail, but the project fell apart while I was in the air, and now I was meeting Andrew for a coffee to see if there was anything else I could do in Thailand. He reminded me there was a court hearing coming up in neighboring Indonesia involving a British woman. The Mail said it was worth looking at while I was in the region. We flew to Surabaya the following day. But the court case was adjourned. "Now what?" I asked Andrew. "We could go to the zoo," he said. "You mean that awful place where you'd taken those pictures? I don't have the inspiration to fly or drive there, wherever it is, and look at those poor animals in the flesh." "It's just up the road," he said. I pretended I didn't hear what he said and ordered another coffee. "Just 10 minutes by taxi. Once you see it, you'll be compelled to write something." For the record, no one cares more for animals than me. OK, slight exaggeration, but if I come across an injured bird, a runaway dog, anything furry or feathered in any kind of need, I'm there, picking up the small and injured, chasing the stray until caught and phoning the owners or delivering them to vets. But a zoo filled with the kind of needy creatures that I'd seen on Andrew's computer was something different. This was going to be tough -- but he had trapped me. I had to go. I have to say now that I am grateful to my forceful friend for his determination to get me to pay the entrance fee and walk through the zoo's entrance. Because what I saw, and what I subsequently wrote about, will, I hope, add to the growing pressure for action to turn this place of horrors into an efficiently-run animal sanctuary, where the "inhabitants" have space, ample food and are regularly checked by vets. After my story was published in the Daily Mail, it was picked up by publications around the world, in newspapers and on websites and the response has been overwhelming -- dozens of petitions and, in one organizer's estimation, more than one million signatures. 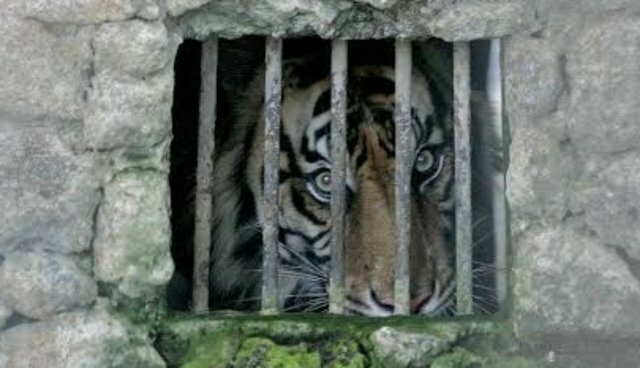 Most people simply want the zoo closed down, but that is easier said than done: What would happen to the animals? I have been told that no other zoo in Indonesia will take them amid fears that they are either too sick to be moved or they might be carrying diseases because of the lack of care. "I was last here weeks ago," said Andrew as we wandered around this miserable place, "and it now seems worse than ever." We had stopped by a young elephant that was lifting one leg up and down. Its other three legs were shackled. It could not move in any direction. And the manacle on one of the legs had cut into the skin, resulting in a vet who later saw the photograph to lament that the leg was in danger of becoming seriously infected. 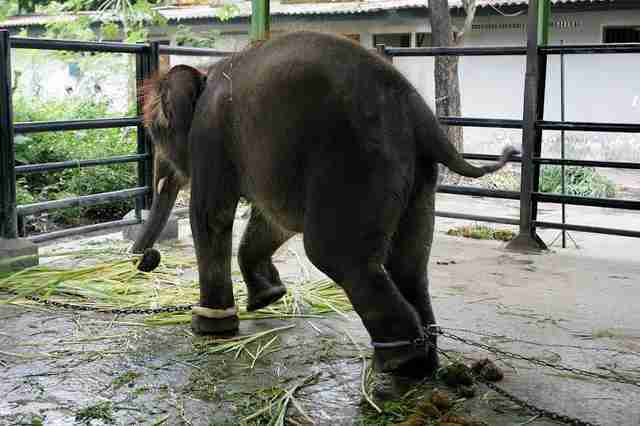 "The elephant was shackled by only one leg when I was last here," said Andrew. "Now it's three. I've photographed elephants all around Thailand on assignments and I've never seen anything as bad as this." My Daily Mail article and Andrew's pictures tell the story of what we experienced. But I have since learned that pressure has been on this zoo for years and there has been no visible improvement. 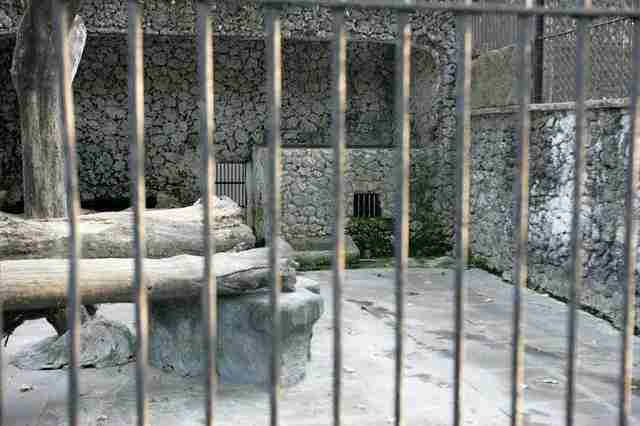 It has been argued that a management committee had been set up six months before I visited, but if that was the case why was that elephant, to pick out one case, "locked" into position with an injured leg? Concerned people from around the world who have written to me insist that local bureaucracy is to blame -- that the mayor, Mrs. Tri Rismaharini, does not want any improvements made because they would destroy the zoo's historical background: The place was built by Dutch colonialists back in 1916 and the mayor wants to preserve the original small, rusty cages and the concrete pens. So change will not come easily -- unless the protests, the demands, the pleadings from around the world continue to pour in. I'm well aware that improving the zoo, getting together a team who can draw up a new design and who can build bigger enclosures while vets maintain vigilance is going to cost a lot of money. And people have asked me who they can send money to. Will it just vanished into the ether? Undoubtedly it would unless a properly-run fund can be set up. I'm "just" a journalist with no fundraising or organizational skills but I'm hoping that continuing pressure and discussion will come up with the answers. 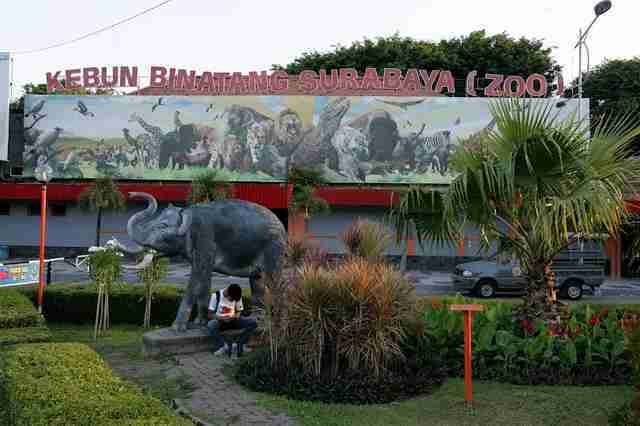 Making people aware, as I hope I have been able to do in a small way through this exciting new website will go a long way towards helping the sad animals of Surabaya Zoo.